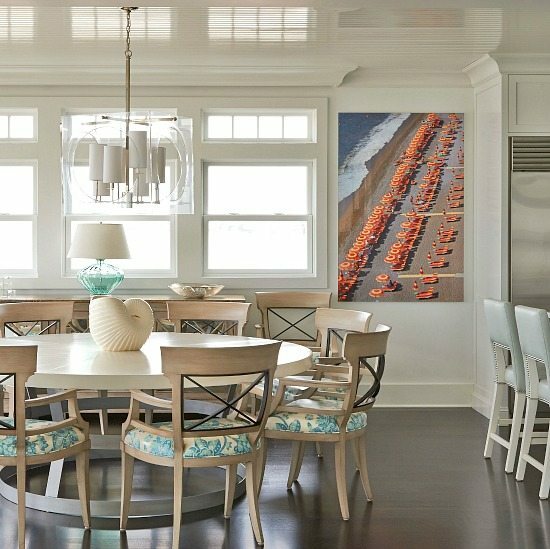 The art shines in every room in this beautiful elegant beach home. 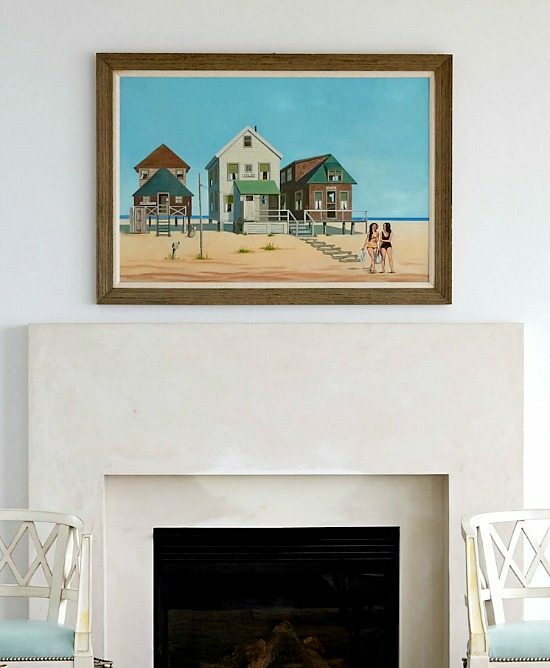 From serene beach paintings to Shell Art. Large sea life prints, similar to these. 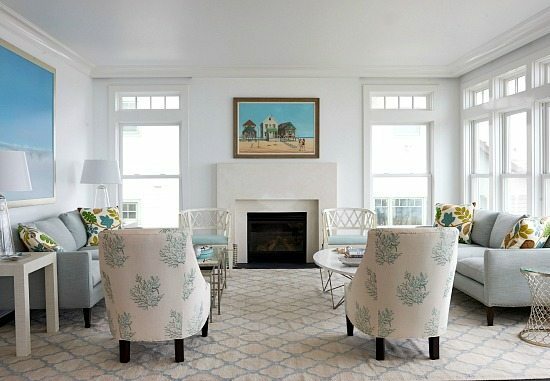 I usually prefer homes that are cozier, but this elegant beach home captures the essence of the sea in a uniquely serene way. Everything is open, airy and fresh. Nothing distracts from the Art. Design elements, big and small, stand out in the living / dining room. 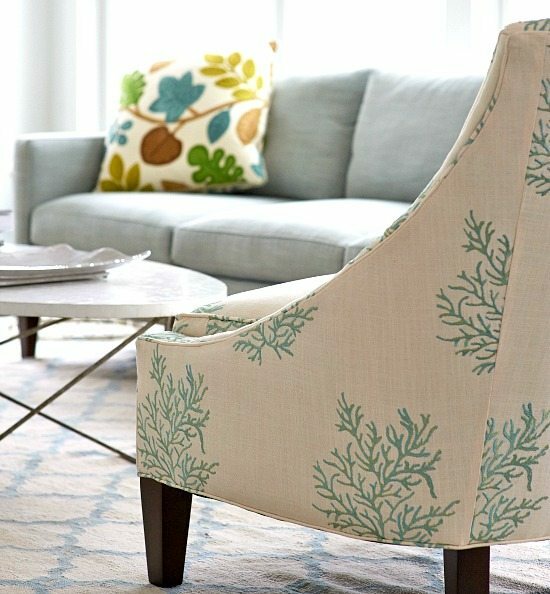 From the coral upholstered chairs, to the nautilus shell vase, to the starfish dish that sits on the sofa side table. 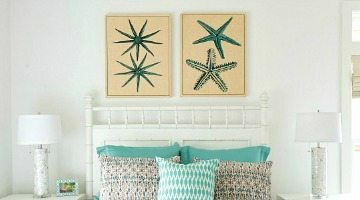 And I’m loving the turquoise Bedroom with Starfish Prints above the Headboard -a happy relaxing retreat! 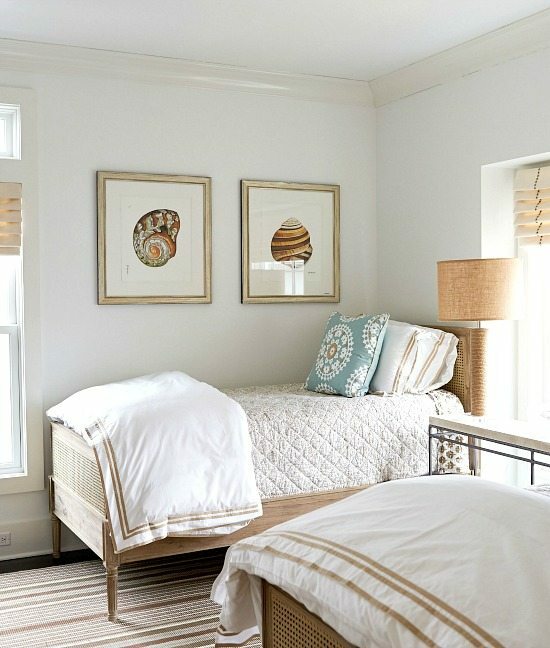 To see the rest of the home, go to Lillian August Furnishings + Design! Aqua starfish dish at Bloomingdales. Two’s Company large nautilus shell vase, sold at Bellacor or find one on Amazon. 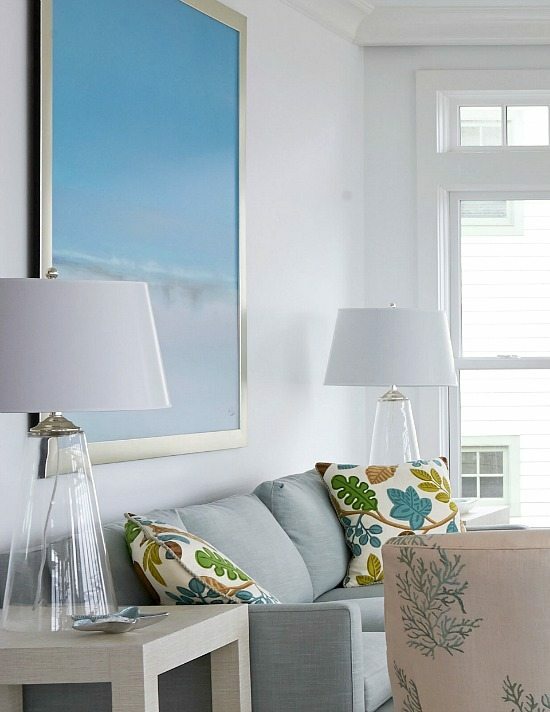 Find similar tapered clear glass table lamps at Bellacor and Burke Decor. Turquoise starfish prints available at Caron’s Beach House, and look for Seashell Art at Art.com.